Priscilla is using Smore newsletters to spread the word online. Introducing...Mrs. Beaujon, your new librarian. I've only been here at Wayne for a little over a month and it already feels like home. I'm enjoying it very much so far and am coming up with new ideas to make your library better. If you have any suggestions of your own, please feel free to let me know. I have recently ordered new titles to add to the fiction section. 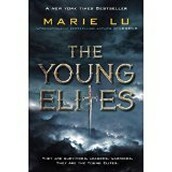 I've noticed that some of the most popular YA titles are missing from our collection and several of those were a part of the order I put in, including titles such as Richard Yancy's The 5th Wave and Marie Lu's The Young Elites. 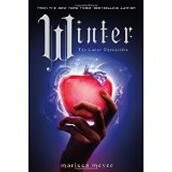 Some of us have been anxiously awaiting Winter, the 4th book in the Lunar Chronicles (Not the season). It is being released on November 10th, but I have already pre-ordered it in order to get it ASAP. We should be getting it in shortly after the release date. I am always compiling a new list of books to order. Please let me know if there are any titles you know of that you believe should be a part of our collection. Also, if there is a book that you are interested in that is not in our collection, just let either Mrs. Cantwell or me know because it can be borrowed from another library through Inter-Library Loan. 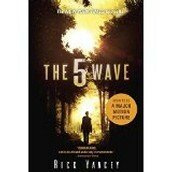 The 5th Wave is being released as a movie this coming January. As we all know, the book is always better! Also, those of you who have seen the new movie Martian, may be interested in knowing that I have ordered the book by the same title that the movie is based upon. This is a YA favorite that has been out awhile. I have also ordered book 2 of its series. Being released on November 10th. Those of us who have been anxiously awaiting the fate of Cinder and her friends can tell you that this is an awesome series. If you haven't started reading the Lunar Chronicles, come in and check out book #1, Cinder. I have already had the privilege of assisting several classes with research projects. I've been working hard at becoming very proficient on the databases. My goal is to become an expert! Aside from some trouble logging into JSTOR, things are going well. Teachers: As always, I am more than willing to offer lessons to classes on search skills, website evaluation and the use of EasyBib for creating bibliographies. If you need ideas for presenting final projects in new and innovative ways, I'd be glad to help. I also offer book-talks to encourage reading. Students: I would be happy to help you find the materials that you need for either your research projects or for you own personal interest.